Are you on the path of spiritual awakening? Have you cleared all negative energies from past relationships? Is there something blocking you from transforming with the self-love, healing and spiritual growth you crave? Some may call this God, or another word. It’s just a name, the same energy and the same power. Your higher-self may guide you to experience several past lives, or another journey in which your soul has taken in between lives. These experiences are not linear or logical in the way human beings view our lives. Having an open mind and allowing whatever your higher-self shows you, without judgement, is essential to receive the blessings, life changing shift and massive impact these sessions have in your life. Some people who struggle with addictions or making wise choices to love and care for themselves, may have an entity or earth bound spirit occupying space around them. These attachments drain their energy and can influence them in an unhealthy way. Should this be the case, it is my role to assist any earth bound spirits to make their way home. I do this by helping them create forgiveness for the issues they experienced in their former life, view their past body as whole and at peace, and reassure them that there is no judgement, and only love in the world of spirit. With the love, guidance and the support of Archangel Michael and the Angels of the White Light, they feel safe to follow the light and make their way home. You will receive advice from your higher-self on how to heal from issues in past relationships in your current life and how to more easily love and nurture your body, mind and spirit in the way it truly needs. Feel the healing energy flow through your body, as I request your higher- self to spin your chakras, mend any tears in your aura should there be any, and scan your body for any areas which need attention. You will be gradually releasing and letting go of all matter not serving you. Making healthy choices for yourself is so much easier when this matter, is cleared and the area in and around your body is replaced with healing energy and love from the Source of all Creation. Following a quantum hypnotherapy session, you can feel a little like a turtle out of it's shell, and you need to be kind to yourself. Robyn supports you through this process with a mentoring and nurturing care program giving guidance on how to do just that. This includes the first Module called 'Align' in the meditation program, Higher Communications, mentioned below, free of charge. It also serves as an opportunity to revisit what your higher-self has recommended and inspire you to keep on track with this wisdom. Robyn is available in Mandurah, Western Australia for Quantum Hypnotherapy Sessions. Feel free to call for any questions or an appointment on her mobile 0488 490 098. The most consistent advice from the higher power given during quantum hypnotherapy sessions is to meditate. Meditation can be daunting as it's natural for us to have active minds. It is for this reason I invite you to experience the visual guided meditations in Higher Communications of which I am a co-founder. Each meditation is less than 11 minutes long, and is in movie form. It's just like watching a little video. You can experience them with eyes open or closed. They were created in a visual way by graphic artist genius, Donna Chapman (who is also my niece) turning them into the most incredible journey which can also be experienced with eyes open only. We worked together in this way to make sure the guided meditations are available for the deaf and hard of hearing. 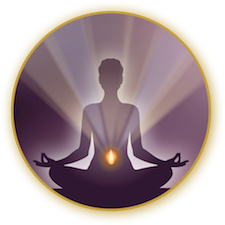 The visual guided meditations are easy to experience, just like watching a little video and they are mostly less than ten minutes long. Each meditation movie has been created to perfectly serve the hard of hearing, those who find it difficult to visualise and people with active minds new to meditation. 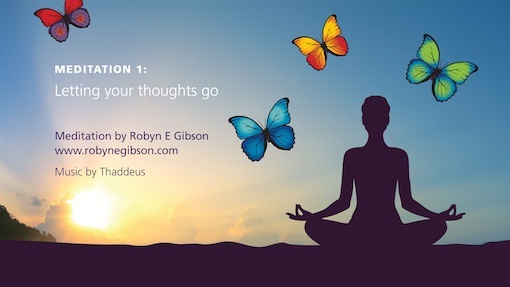 Robyn has designed the 17 visual guided meditations that follow to take you through a step-by-step process of spiritual growth. 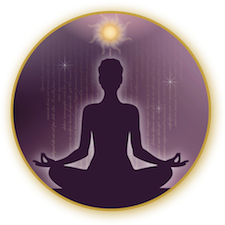 As you experience each meditation, you will be gaining tools to connect upward, evolve yourself and become a source of light to others. The meditations you purchase are permanently available to you in your very own member page on this web site. This means they will always be available to you, experiencing them at your own pace, as often as you wish and in the comfort of your own home. 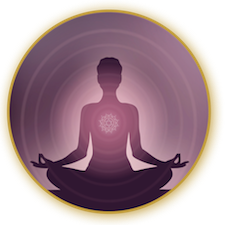 The Higher Communications program has 17 Guided Meditations in all, so allow yourself 6 - 8 weeks to work through them. By the end of the program the aim is to discover a recalibrated version of yourself. You will see from this clean slate you can more easily dispel limiting beliefs, learn to love yourself more, calm your emotions, and experience a renewed sense of power as you become your Higher Self and open to your greater potential. I have come to realise Spiritual Growth is a wonderful journey, and I welcome you as a fellow traveller on the path. Journaling your experiences after each meditation shows you a clear picture of how and when shifts happen in your life. The stronger the light is within you, the more powerful you become! Feel welcomed by a community as we join together shining our inner light. Are you hard of hearing and feeling adrift? Meditation is a bridge that leads you to a deeper level of connection; connection to self, to family and to community. Do you long for a deeply fulfilling, loving relationship? Do you struggle to express your emotions? Are you carrying heavy, emotional burdens? Are you ready to heal and release this pain? Loving relationships start with loving yourself, and blossom outwards as the higher wisdom within you unfolds in your heart. In forgiving the past and healing and releasing old hurts; a heart that is healed is open to others. Are you ready for Higher Communications? 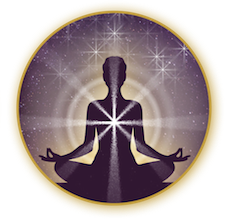 If you’re ready to tap into your higher power, I invite you to embark on the wonderful inner journey of emotional healing, personal and spiritual growth. You won’t be alone, as you connect with the higher wisdom that is there waiting for you. Grief, depression and anxiety are dark places that shut out the light, you need guidance and help to find the pathway to feeling whole again. Robyn Gibson is one of those special people you only meet every so often. She is full of energy and love, and is so supportive and wise. I met her when I attended her first Abundance Workshop which led me towards abundance, acceptance of myself and happiness. It’s sometimes been a bumpy ride but it’s worth it for the periods of pure bliss and contentment. I’ve found that the workbook from Robyn’s “You, The Ultimate Masterpiece Workshop” has provided me with many tools I can use in my everyday life to tune in the beautiful energy available to us all. Robyn has helped me let go of the thoughts which created emotional pain. I feel confident I am able to listen and respond from a heart perspective which has created tremendous positive change within me. I have always been spiritual, however I now have more of an understanding, learning how to let go and to listen to my heart. I now easily release the need to control the situations I have no power over in myself, and in others. I am so very grateful, because this is what I have always wanted to achieve. I've always shied away from anything spiritual, thinking that it's all 'woo woo' and way too 'out there' for my more logical, analytical nature. But Robyn's workshops have opened my eyes, and my heart, to become more receptive to the many ways in which the universe works. It has helped me to see another side of meditation, where you gain a deeper understanding and knowledge of yourself, along with a greater ability to show yourself, and others, more compassion. The tools and ongoing support Robyn has provided have helped me to heal and grow in many areas of my life. I have done Empower Your Life Workshops 1 & 2 and it has changed my life! I had no idea how powerful these techniques would be! I am now a Master of the techniques Robyn has shown me and hold Workshops using this work to help empower others. Robyn supports us all to be Masters and an Inspiration to others as her ultimate goal, and it has worked on me! I wanted to thank you for your Align Your Energy Workshops 1 and 2. They were fantastic, I really enjoyed them. They helped with healing old hurts, clearing my mind and I have a healthier focus now. I draw on the sessions regularly, and your techniques have helped with all areas of my life.